Here is the opportunity of a lifetime to see Gorillas in their natural habitat. Choose either the 3-day Meeting Mountain Gorillas trip where nothing is more thrilling than to walk through a green, primeval forest in Volcanoes National Park guided by expert trackers hoping to see these rare creatures, plus see some beautiful countryside. 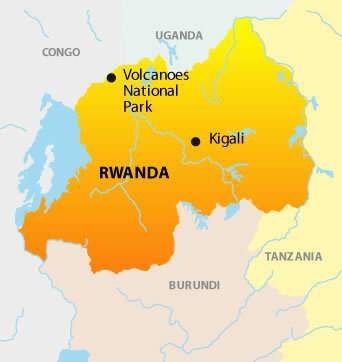 Or, take the 4-day Dian Fossey’s Gorillas trip where as well as trekking in Volcanoes National Park you visit the Karisoke Research Center on the slopes of Bisoke Volcano where scientists continue the work started by Dian Fossey and see some of Rwanda’s most beautiful lakes. Both extensions include a tour of the capital, Kigali and the Genocide Memorial Centre at Gizozi. We transfer you to the airport this morning. If you didn’t tour Kigali on Day 1, we will provide the tour before going to the airport. 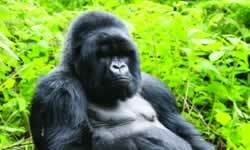 Gorilla Permit is an additional $765USD per person per permit. Subject to change.